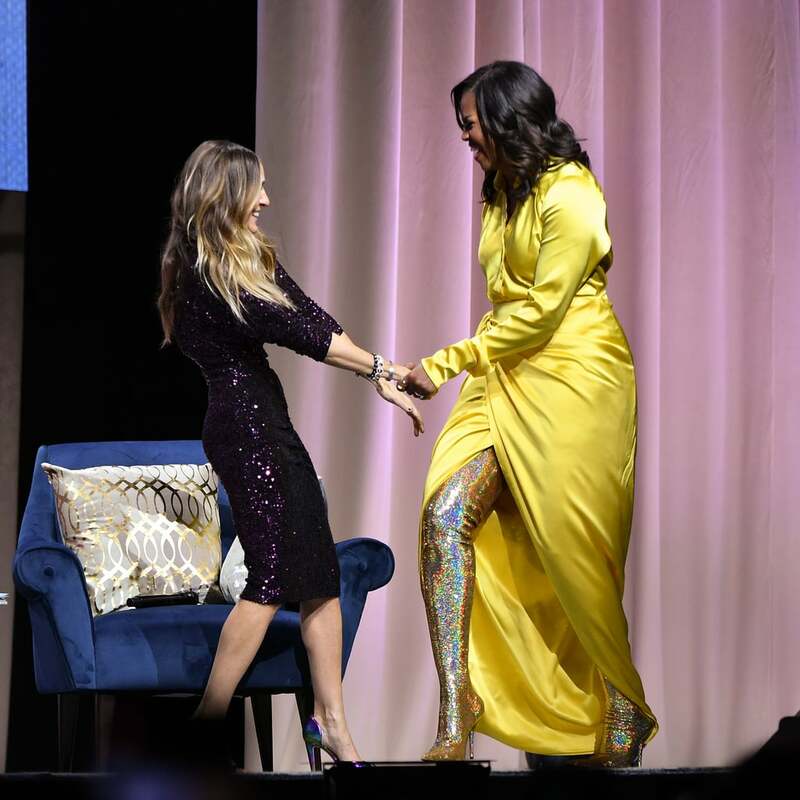 Michelle Obama's book tour has given us a number of memorable fashion moments, but on Wednesday, she truly turned things up to 11. 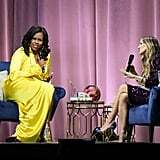 Michelle attended a talk with Sarah Jessica Parker, and she obviously decided that being in the company of such a fashion icon called for a serious statement. 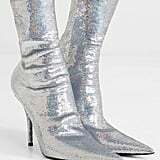 That came courtesy of a bold yellow wrap dress and a very unexpected footwear choice: a pair of thigh-high Balenciaga knife boots, covered in iridescent gold sequins. 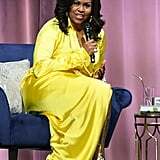 Though Michelle's style has definitely gotten more adventurous and fun since she's been free of the confines of the White House, this look puts her on a whole new level entirely. 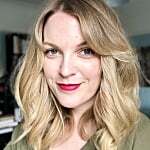 Michelle's stylist, Meredith Koop, posted the look (or should that be "lewk"?) to her Instagram Stories and asked "too much?" but we think the ensemble is just extra enough. Keep reading to take a closer look and to shop the boots (or a more affordable alternative) for yourself.